Jeep is building the Wagoneer and Grand Wagoneer full-size SUVs in order to fill up the empty space in the full-size segment. Still, this is something you’ve probably heard earlier this year. 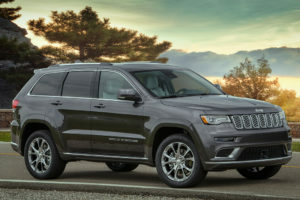 What you don’t know for sure is the fact that the automaker works on the 2020 Jeep Grand Wagoneer Trackhawk model, too. According to Road & Track, the vehicle is a “done deal” already, since the carmaker made an agreement with the German transmission maker ZF. 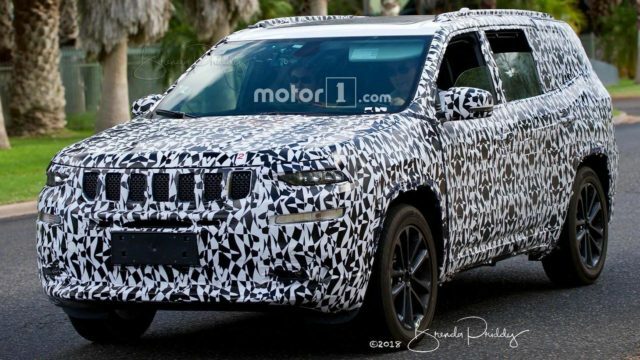 Judging by the official paper, the 2020 Jeep Grand Wagoneer Trackhawk will use a ZF-8HP95X gearbox which will come in a pair with a 6.2-liter supercharged Hellcat V8. The document also says that the engine is going to deliver 536 kW or 729 PS, which is essentially 717 American horsepower. Of course, the topping option will produce at least 650 pound-feet of grunt. The aforementioned 8-speed auto transmission will supply all four wheels with power. The utility body-on-frame full-size SUV will not get a dedicated platform. Instead, the manufacturer will reportedly use a reworked version of the architecture that uses an all-new Ram 1500. This way, the vanilla Grand Wagoneer will probably get respectable off-road abilities and lightweight bodywork. Since we are talking about the topping model, we assume it’s going to be loaded with luxury and useful features. After all, this is going to be the most powerful full-size premium SUV built in the U.S. soil without any doubt, so it needs to be awesome in every point of view. Of course, the awesomeness is going to cost a lot of green bills. Jeep hasn’t said anything regarding the price of the Hellcat-powered three-row SUV, but we think it’s going to be priced at least $140,000. The vehicle will be manufactured at Warren Truck Assembly. 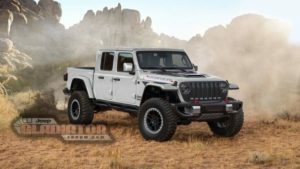 Jeep will introduce it either in late 2019 or in early 2020.